The little green fruit has a big role: amping up flavor, freshness and tartness in a margarita. The difference between a good margarita and a bad one? If there’s anything these pages are trying to tell you, it’s that many factors contribute. 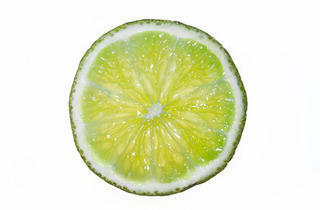 But it’s no understatement to say that of all of them, none is as crucial as the lime. The lime is the backbone of a margarita, the element that gives it balance. It counters sweetness with tartness, lushness with vibrancy. But it only works if the limes are fresh, and freshly squeezed. Yes, limes—and margaritas made with fresh ones—are expensive. Yes, they have to be squeezed individually. No, there’s no getting around this. A bottle of Rose’s lime would surely save you money and time (not to mention sticky hands), but at the cost of your cocktail. Rose’s has sugar, so it doesn’t offset sweetness but rather adds to it. That’ll make your margarita more akin to Sprite than anything else. And if that’s what you want, there’s a name for that—it’s called the tequila slammer. TRY THIS Freshly squeezed lime stars in these concoctions: ¡Salpicón! margarita at ¡Salpicón! (1252 N Wells St, 312-988-7811, $8); Adobo margarita at Adobo Grill (2005 W Division St, 773-252-9990, $8.50); and TLMC margarita at That Little Mexican Cafe (1055 W Bryn Mawr Ave, 773-769-1004, $7).